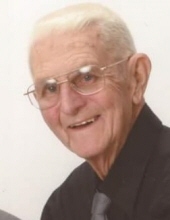 Charles R. Titus Sr., 87, of Moline formerly of East Moline, passed away May 26, 2018 at his home. Per his wishes, cremation rites have been accorded and a celebration of life will be held Thursday, May 31, 2018 from 4–8 pm at the East End Club in Moline. Private burial will be held at a later date at the Rock Island National Cemetery. Charles was born August 25, 1930 in Moline the son of D. Raymond and Helen Burke Titus. He married Donna Mortensen Feb. 4 1961. Charles was self-employed and retired after 32 years with U Haul after. Charles served in the United States Army and is a Korean War Veteran. He enjoyed socializing as a business associate and was a workaholic. He too worked a long his wife’s side at the Apple Valley Boarding Kennel, where he was often referred to as “Grandpa”. Survivors include his wife, Donna; children Debbie Eastwood, Judith Titus, and Charles Titus Jr; grandchildren Megan Eastwood, Andrew Eastwood, and Mike Sides; adopted grandchildren Kelsey and Claire Hovey. Charles was preceded in death by his parents and a brother Ron. To plant a tree in memory of Charles R Titus, please visit our Tribute Store. "Email Address" would like to share the life celebration of Charles R Titus. Click on the "link" to go to share a favorite memory or leave a condolence message for the family.